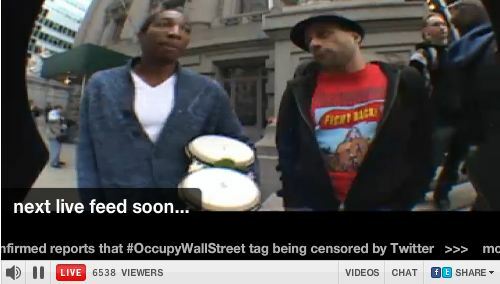 Tahrir Square 2.0 #OccupyWallStreet ‘The Revolution will be Televised’ Live Streaming Feed. The US State Department teaches youth how to organize using Social Media for Revolutionary Change. Mrs. Clinton talks openly about how many have used social media in creating all these protest world wide. Is ‘Anarchy’ On Your Street yet? Be prepared America. This is the nasty stuff people like Francis Fox Piven[VIDEO] and Saul Alinsky [VIDEO] have advocated in order to bring about a socialist change. This is very dangerous and is tantamount to economic terrorism. But on the other hand, so is what the banks have been doing to us.